Marker post is visible at the right of the photo. Founded in 1754 for the Cujane Indians. Capt. Manuel Ramirez de la Piszina, commander of nearby Presidio la Bahia, named this mission for his parish church in Spain, and Fray Juan Dios Camberos ministered to the first converts here. The Indians were taught crop-raising. In the years following, much livestock, including 30,000 head of cattle, belonged to Rosario. But these, along with Indian land at the mission, had to be surrendered later to the Spanish crown. In 1807 Rosario was permanently abandoned and its lands were distributed to Spanish settlers. Location. Marker has been reported missing. It was located near 28° 38.73′ N, 97° 26.405′ W. Marker was near Goliad, Texas, in Goliad County. Marker was on U.S. 59 1.9 miles south of Texas Highway 239, on the right when traveling south. Touch for map. Marker was in this post office area: Goliad TX 77963, United States of America. Touch for directions. Other nearby markers. At least 8 other markers are within 4 miles of this location, measured as the crow flies. Goliad County (here, next to this marker); Mission Rosario (approx. 0.2 miles away); Site of Mission Nuestra Señora del Rosario (approx. 0.2 miles away); Founding Site of First Baptist Church of Goliad (approx. 3.1 miles away); St. Stephen's Episcopal Church (approx. 3.2 miles away); John Mason Brewer (approx. 3.2 miles away); Bull Durham Tobacco Wall Advertisement (approx. 3.2 miles away); Goliad Tornado of 1902 (approx. 3.2 miles away). Touch for a list and map of all markers in Goliad. More about this marker. 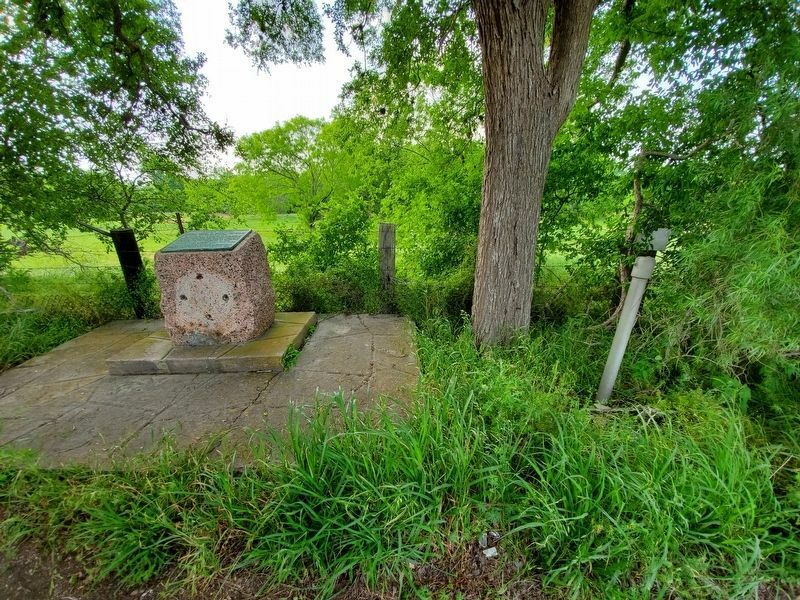 According to the Texas Historical Commission's Atlas, this marker was reported missing in August 2009 although the post it was once attached to remains. Marker text comes from the Atlas. More. Search the internet for Mission Nuestra Senora del Rosario. Credits. This page was last revised on April 12, 2019. This page originally submitted on April 11, 2019, by Brian Anderson of Kingwood, Texas. This page has been viewed 52 times since then. Photo 1. submitted on April 12, 2019, by Brian Anderson of Kingwood, Texas.